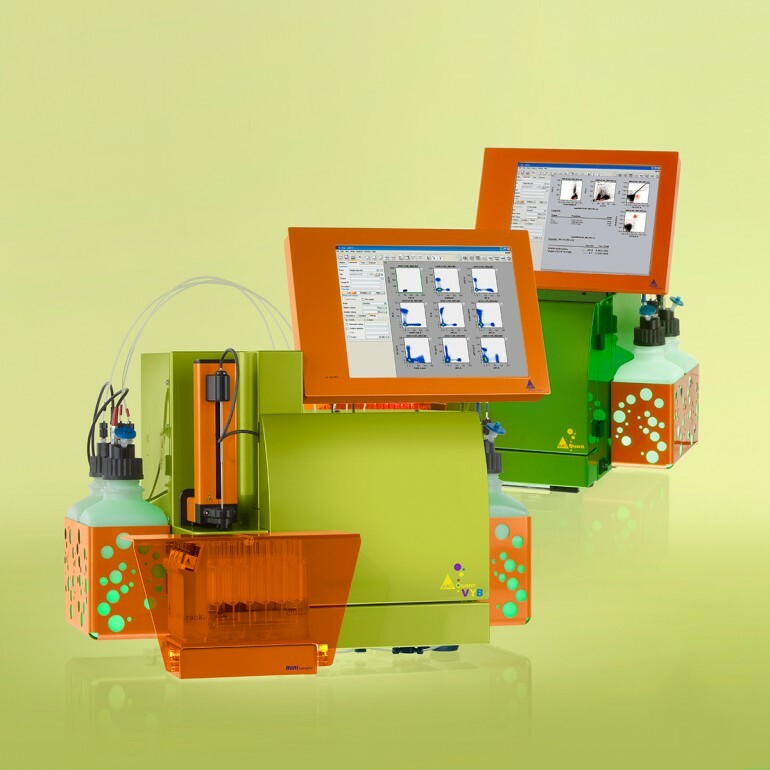 The MACSQuant® VYB delivers all the performance, automation, compactness, and convenience of the MACSQuant Analyzer but with a newly configured optical layout. Industrial (product) design as well as interface design helps to make this laboratory equipment stand out, and colorizes the usually grey and white laboratory world for the user. The illuminated bottles can change the color and do signalize the operating status of the instrument. I am completely satisfied with the photography, too, and the photoshopping. All design parts – instrument itself, software (user) interface (touch screen) and photography done @ Miltenyi Biotec.